May is always one of the most exciting times here at the Bolshoi Ballet Academy, summer properly establishes itself and the final year student graduation is cause for a great deal of celebration and promise. It’s in this month that the graduation show takes place creating an atmosphere which is fantastic to be part of. All the while, we are preparing furiously for our exams which will take place at the beginning of June, consequently making this the hardest part of the year. I felt extremely privileged to be part of this year’s graduation performance which takes place at the Bolshoi Theatre. 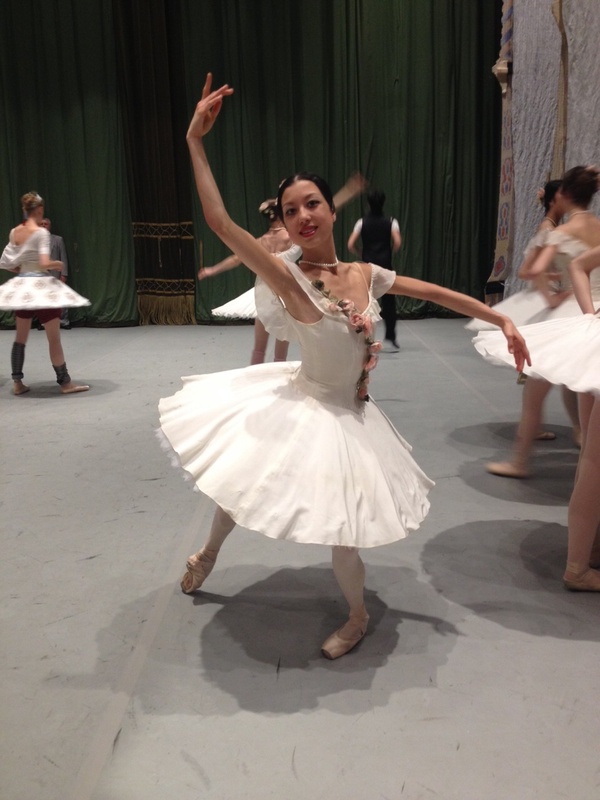 I danced in Le Jardin Anime from Le Corsaire which made up the first act and, as the first number of the second act, I preformed one of my favourite pieces, Rhapsodia, which I also performed in February for the Character Festival – see my post here. The run up to the shows were tough due to the many late night rehearsals in addition to our increasingly intensive timetable. 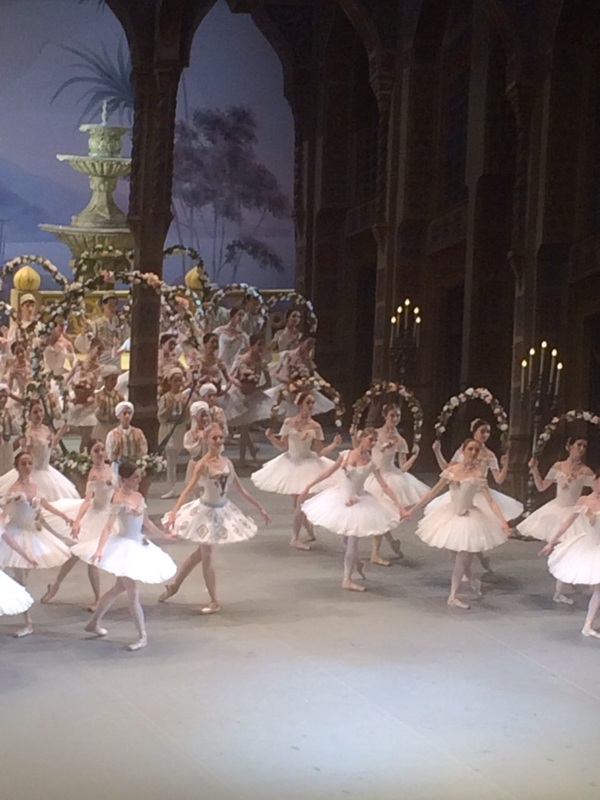 However, it all felt worth it as we had our hair done each night by the make up specialists in the Bolshoi Theatre and wore the beautiful Bolshoi’s own costumes. 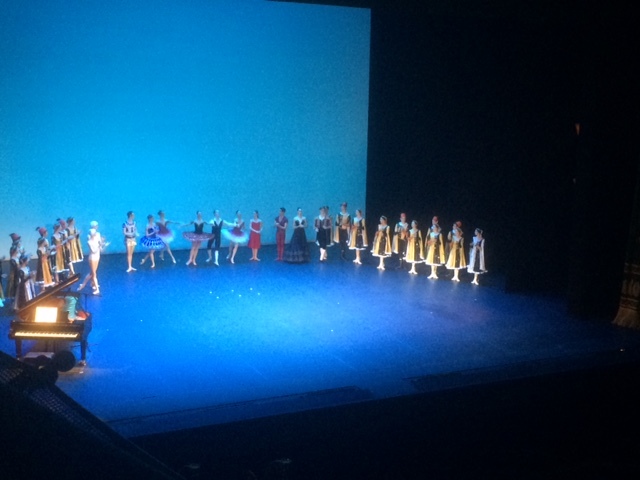 And, of course, I got to perform on the Bolshoi Theatre stage again! As a member of Rhapsodia I also was able to stay until the end of the performances for the final bow which made the whole experience feel extremely special; I felt honoured to be included in a moment that launches these graduates into the professional world. Leaving from the stage door after the show! I’m now on the last push before returning home; my ballet exam is next week and my character and duet exams the following week. It’s incredible to think that second course and my third year is almost complete and that I’ll only have one more year left here when I return after the summer! 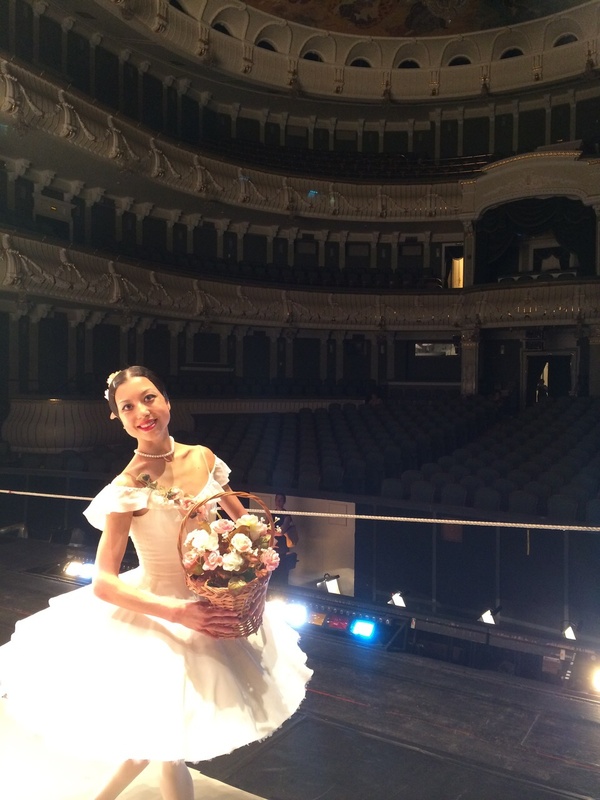 what an achievement to dance at the Bolshoi – congratulations – hard work and dedication pays off. You deserve every success – hope you continue your interesting blog – priceless information for young dancers especially.